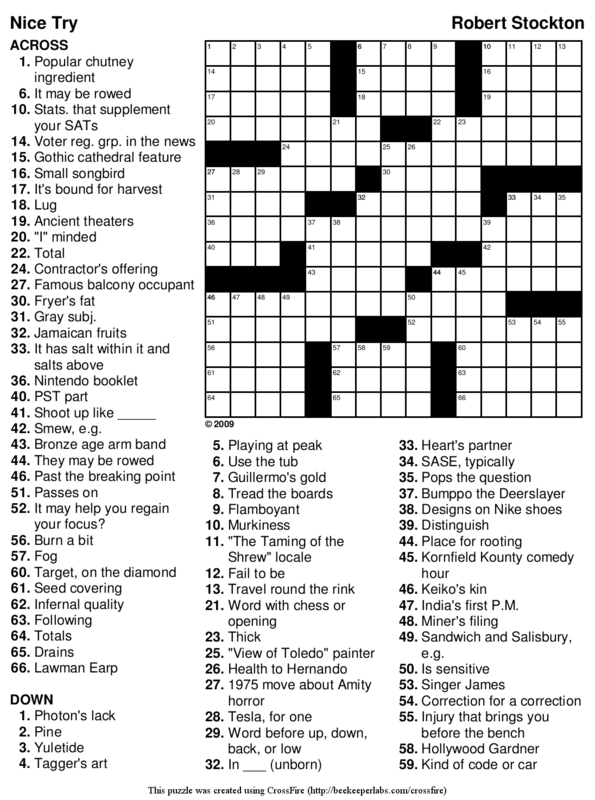 It’s frequently noted that there are very few new crossword themes. Many puzzles are simple variants on a standard theme type, and often you will find that two completely independently conceived puzzles have practically identical theme entries. This puzzle has one of those themes that you’d expect to show up periodically, so I had to do some checking. 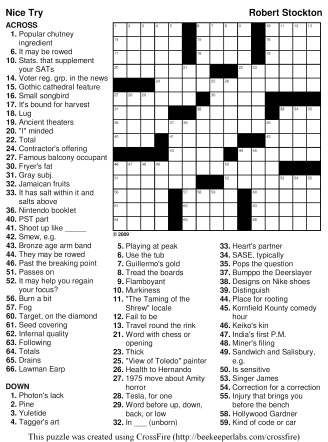 I’m proud to say that while similar puzzles have been done, (AFAIK) none has used quite this form of theme. 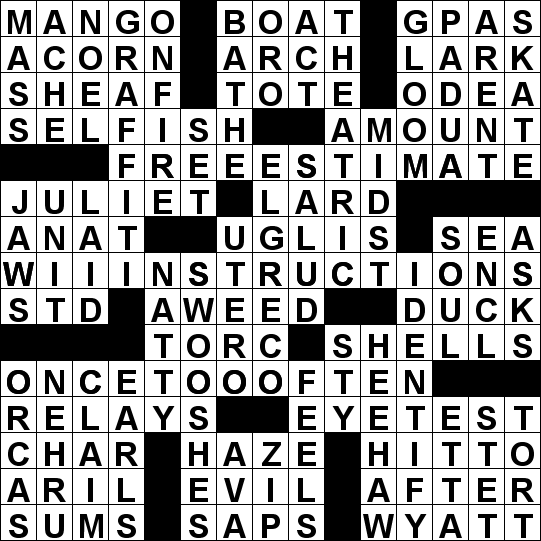 Better yet, as far as my research has turned up, none of my theme entries has appeared in any other puzzles (as theme or normal entries). Now all I have to do is figure out how to put the non-theme entries on a diet: go a month without filling up on junk food like OREOs, OLEO, COLA, SPAM, and AGAR GEL. This entry was posted on Thursday, December 17th, 2009 at 3:14 am	and is filed under Uncategorized. You can follow any responses to this entry through the RSS 2.0 feed. Both comments and pings are currently closed.